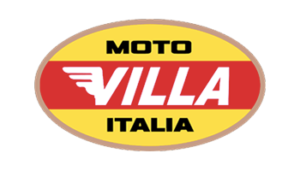 Moto Villa owes much to its past, present and future challenges can only be won if there is continuity with the history of the brand. This is why we stand alongside enthusiasts and collectors to bring life back to the most representative motorbikes of the Moto Villa production from 1967 to today. We have organized a department specialized in the restoration of vintage motorcycles: able to recondition and, where necessary, rebuild, the motorcycles that have marked the history of the brand. We have the original parts of all the Moto Villa models.